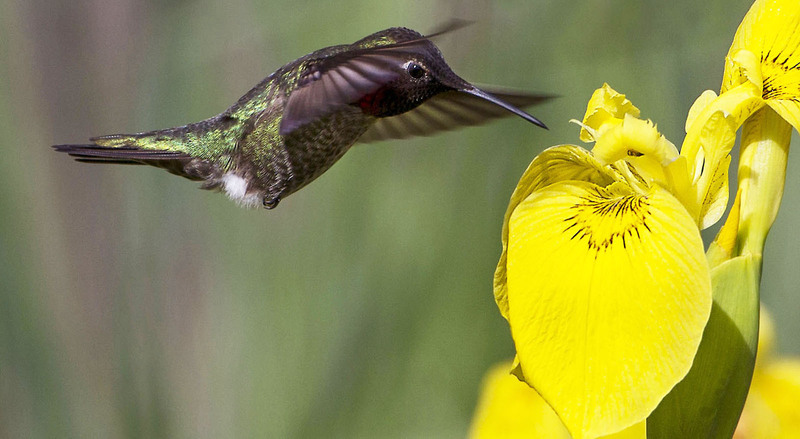 Leigh Hilbert launched Digital Nectar Videography in early 2016 as a Canadian west coast extension of his well-established Leigh Hilbert Photography. He continues with this venture. Every Digital Nectar production is unique, with Leigh working collaboratively on a per-project basis with various talented filmmakers, videographers, artistic directors, editors, and field assistants. He is also quite capable of going it alone as displayed in his phenomenal molten lava movies. Digital Nectar Videography is based out of the Gulf Islands of British Columbia. We have some very exciting concepts in the works for 2019! ELEMENTALS is a short introductory video — a taste of the type of ingredients to be used in the current video greetings project we are working on, and it represents the kinds of subjects we enjoy filming and some of our range of nature-based stock footage. For a richer video experience please click the ‘HD‘ on our videos. Turn your volume level up or use headphones. Click on fullscreen then click the ‘play’ arrow and enjoy! A Taste of Digital Nectar. 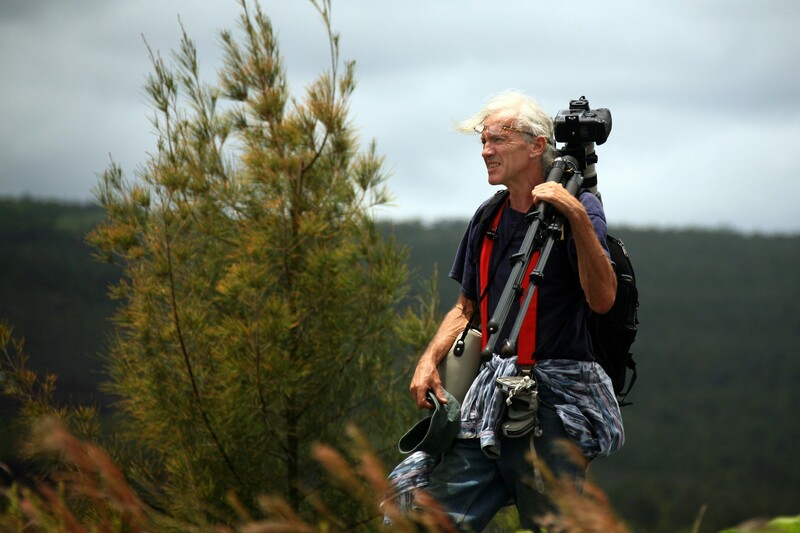 The creator of Digital Nectar Videography, Leigh has been involved with video and photography for over half a century. In this photo, he is on a shoot displaying our two unique camera gimbal stabilizing systems showing the crew a hands-free manoeuvre. 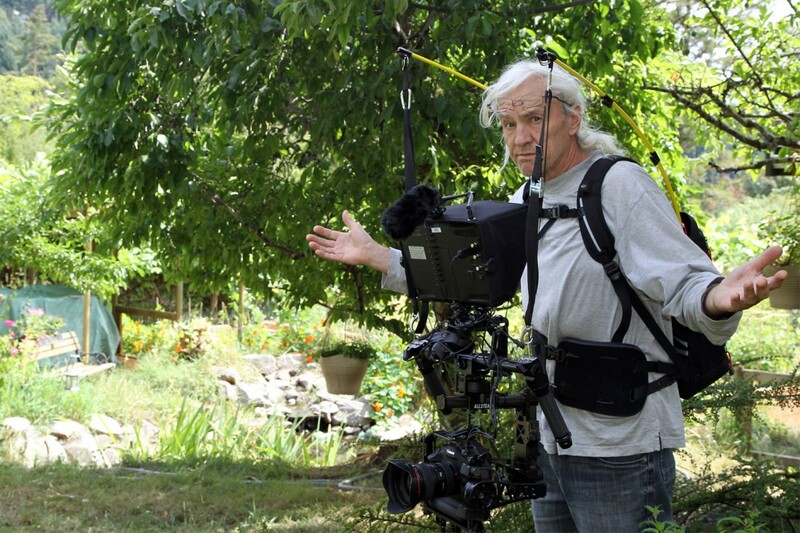 All the camera equipment’s weight is entirely supported by his invention of a backpack sporting two strong flexible poles; allowing for much easier filming. This unit is a very cool custom modified three-axis gimbal camera stabilizing system; great for super-smooth action shooting! Prior to Digital Nectar Videography, Leigh’s camera lens focused on the wilderness and wildlife of the Canadian west coast, and on documenting the Big Island of Hawaii, principally the molten lava erupting from Kilauea Volcano. An internationally acclaimed molten lava photographer and videographer, he has a large collection of diverse active volcano lava clips. We host some of his lava films on this site, but the bulk of his stunning work can be found here. Throughout his career, Leigh has made vast contributions to all forms of print and film media. In the lava genre alone, he is well-recognized for global contributions to a plethora of TV and radio news stories, magazines, books, and movies. His launch into Digital Nectar Videography carries his and creative passion into the present even stronger and brighter!